About 40 firefighters and rescue personnel participated in a tribute to first responders who lost their lives in the attack on the World Trade Center Towers on Sept. 11, 2001. 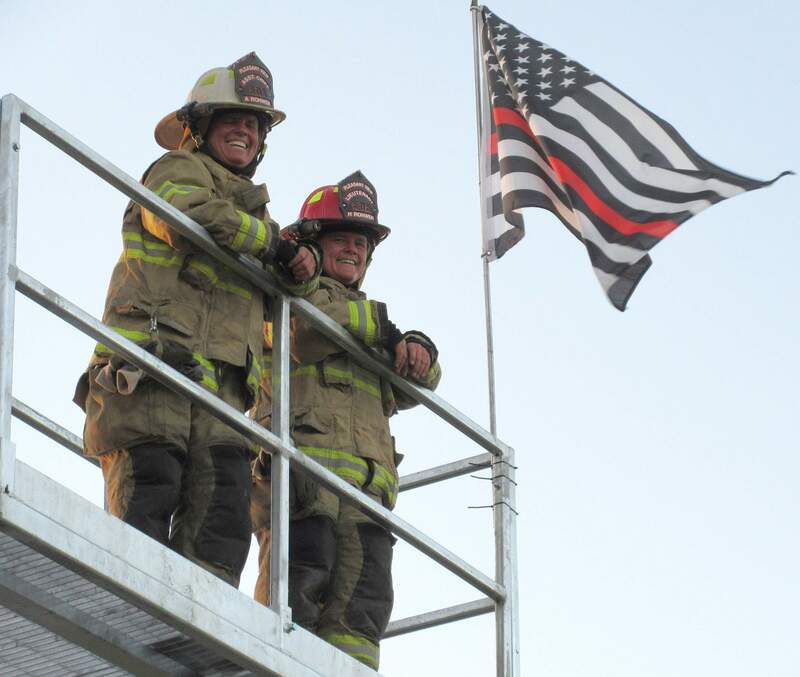 Firefighters Heidi and Angela Rohwer, of the Pleasant View Fire Department, enjoy the view from a landing while participating in a stair climb to honor 9/11 first responders. Patriotic country-rock music blasted from a sound system helped to keep the pace for firefighters participating in a 9/11 tribute Tuesday. The second annual 9/11 Stair Climb took place at the new training facility at the Lewis-Arriola Fire Department on Sept. 11, the 17th anniversary of the terrorist attack on the World Trade Center towers in New York. After climbing stairs equivalent to 110 stories, firefighters posed for photos then had a cookout. Lewis-Arriola Fire Chief George Deavers explains a burn room in the new training facility. Forty Montezuma County firefighters paid tribute Tuesday to first responders who lost their lives in the Sept. 11 terrorist attack on the World Trade Center Towers in New York 17 years ago. The second annual 9/11 Stair Climb took place Sept. 11 at the new three-story training tower at the Lewis-Arriola Fire Department station. First responders dressed in full bunker gear climbed the equivalent of 110 stories to honor the 412 emergency workers who died that day, including 343 firefighters, 60 police officers, eight EMTs and a fire patrolman. Rescue personnel bowed their heads while Cortez Dispatch repeated emergency calls for service to the World Trade Center for New York Fire Department units on the day of attacks. “The event is to pay respect and honor rescuers who lost their lives that day. When everyone was running out, the firefighters were running in to help,” said Lewis-Arriola Fire Chief George Deavers. Chris Hinds, of the Mancos Fire Department, said the stair climb was a fitting memorial. Fire crews from Mancos, Cortez, Dolores, Lewis-Arriola and Pleasant View departments participated in the stair climb. Montezuma County sheriff’s deputies and Southwest Health System ambulance crews also joined in. New training facility The event took place at a new firefighter training facility that will serve the region. 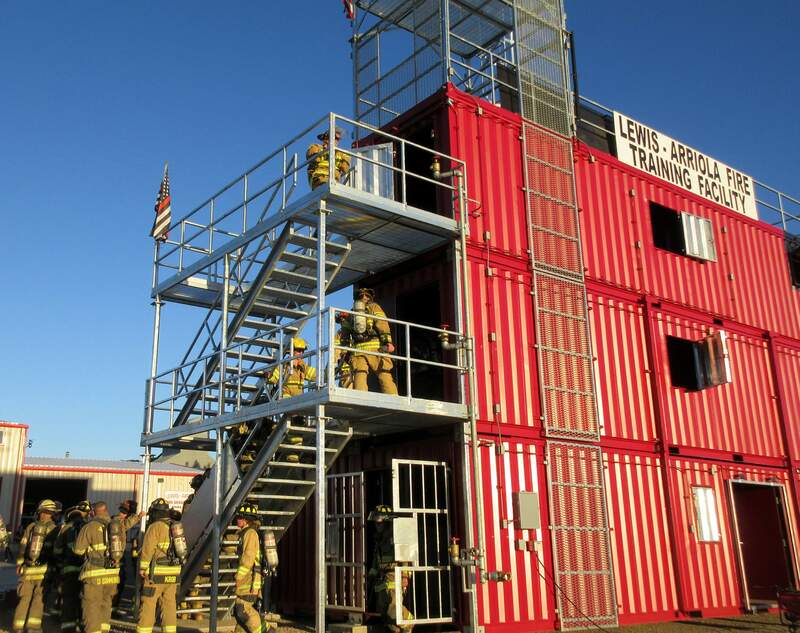 The training tower at the Lewis-Arriola Fire Department station provides real-world simulations for firefighters to experience, Deavers said. It is designed for fires to be started inside, and hoses are hooked up to live hydrants. Smoke machines are used to mimic fire situations, and heat sensors monitor conditions for safety. A replaceable section of roof provides practice on cutting a hole in a structure for venting or to provide access. A system of removable panels can be used to create a maze in which firefighters in full bunker gear may practice reaching a victim in a confined space. Another feature are heavy doors that are designed to give firefighters practice at prying open an entrance or exit. Windows provide escape scenarios, and stairs inside and out are used to conduct firefighting maneuvers. 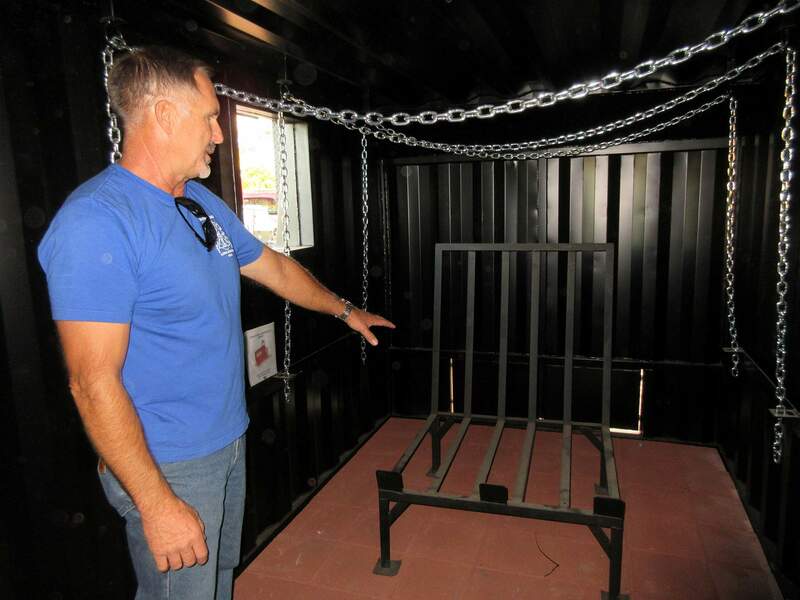 Collapsible walls are used to practice breaching, and crawl spaces with wires mimic attics. “The training and experience our area firefighters gain from this facility translates to a safer community and protects our firefighters,” Deavers said. 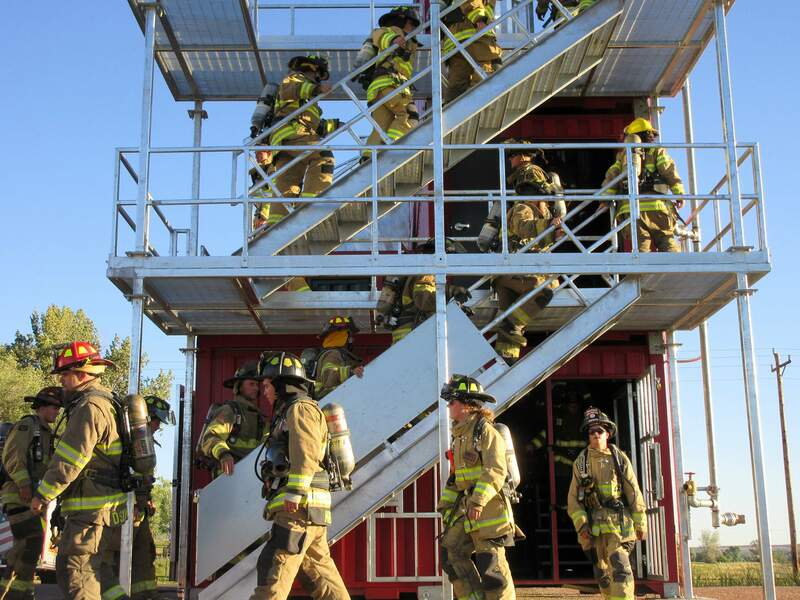 The training tower cost $270,000 and will be available to other fire departments. 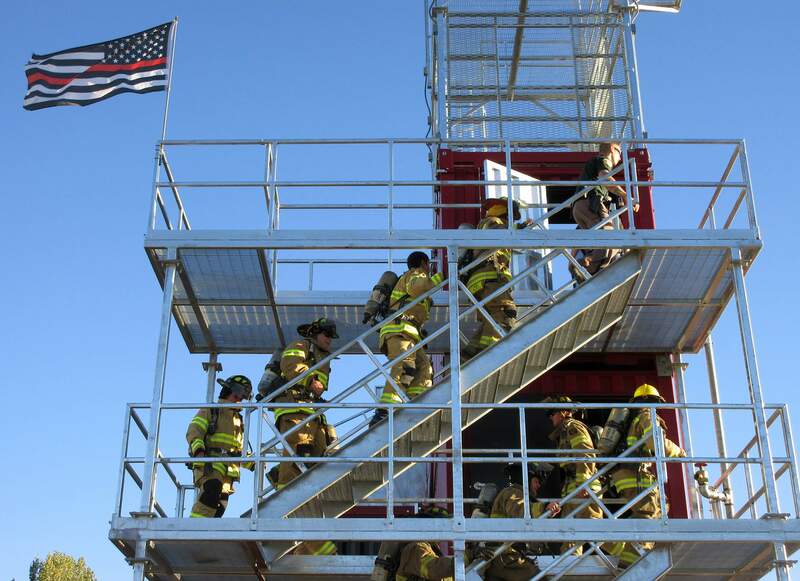 Previously, local districts traveled to the nearest training tower in Ignacio or Farmington.